Since the 1920s AOCS methods have been internationally recognized for trade, and several are listed by the Codex Alimentarius Commission. Offered in several different formats, the Official Methods and Recommended Practices of the AOCS is essential for a lab testing edible fats and oils and similar compounds. Known throughout the world as the most comprehensive collection of analytical testing methods for fats and oils, the Official Methods and Recommended Practices of the AOCS contains more than 450 methods. The book comes as an expandable binder that opens flat for easy access to all methods. The binder style allows pages to be added so you can easily stay up-to-date with revisions and additions in one location. Pages are acid-free to ensure permanence and durability. 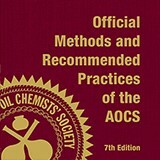 Find and purchase methods from the Official Methods and Recommended Practices of the AOCS. Searches can be performed by method number, keyword, analyte, industry, method title, or compound. 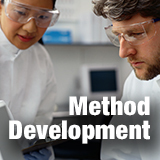 Individual methods purchased online are delivered as a downloadable pdf. Tailored to your company's need, AOCS offers individual intranet application or multiuser access to a web-based library of AOCS Methods. A site license allows your staff access to all of our methods electronically and ensures access to the latest updates and modifications. Pricing is available for both industry and government/university. 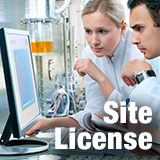 Already have a site license? Access here. To promote quality and consistency among the scientific community, AOCS provides detailed instructions on how to develop and write a method. We also provide guidelines for calculating precision and running collaborative studies. 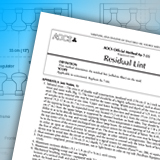 Use our step-by-step guidelines to provide a method for inclusion in the Official Methods and Recommended Practices of the AOCS. 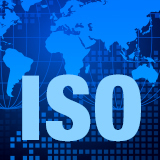 The International Organization for Standardization (ISO) is an independent, non-governmental international organization with a membership of 162 national standards bodies. Through its members, ISO brings together experts to share knowledge and develop voluntary, consensus-based, market relevant International Standards. AOCS administers the U.S. position at ISO through U.S. TAGs to the technical and sub committees.